Well I missed my post yesterday about sunrises (because I slept through the sunrise) So I thought I would make up for it with a post about some of my antique finds! 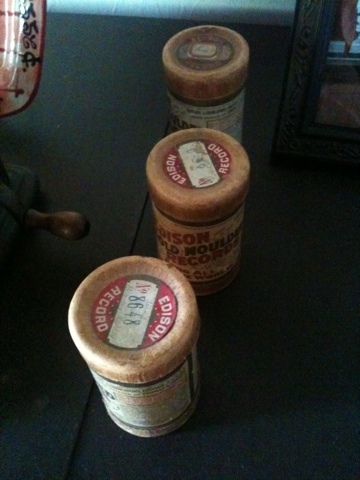 I LOVE to go antique shoping! We have two really nice towns near my city that are filled with antique districts! I always seem to find something nifty at the shops! Our town also hosts an annual Zonta Antique show every March that of course is the cherry on the ice cream! Here are a few of my most recent antique finds! 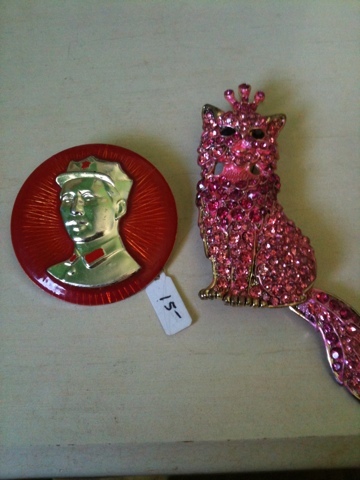 The first is a Chairmen Mao Campaign button! I nearly freaked when I found it!... wait I take that back I did freak! I love all of the history behind that button. I also found a Kitty Brooch at the same vender. It was just too cute and cheap, to pass up! 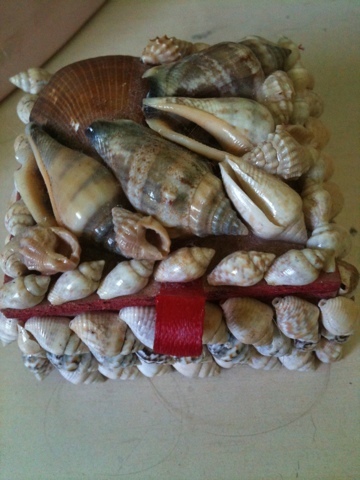 I found this nifty shell covered box which is perfect for keeping my nice rings in! It also goes good with my tropical themed room! This is more of my dad's find but its still spectacular so I thought I would share it with y'all! 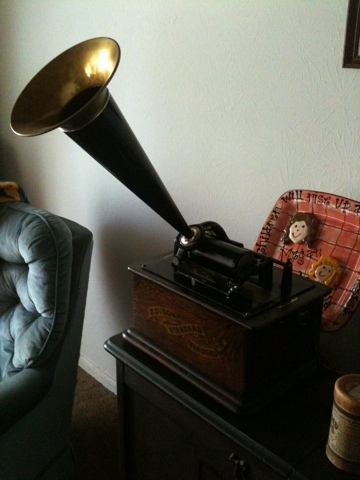 It's and Edison cylinder phonograph! the best thing about it is that it is in Perfect condition!! And it hasn't been restored just taken care of! It came with three diffrent cylinders to play! My favorite is the march it came with! 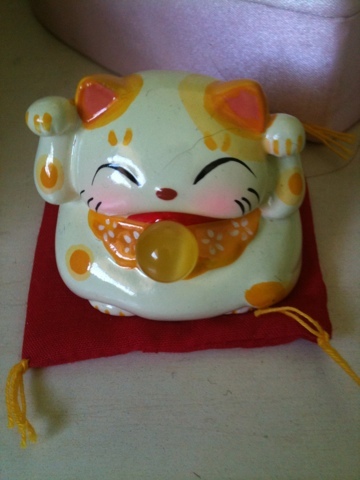 Isn't this Buddha kitty the cutest! I actually have a lot of Buddha stuff(not just kitty form either) and I'm not even Buddhist, I'm Baptist! I just think it's all pretty fascinating! 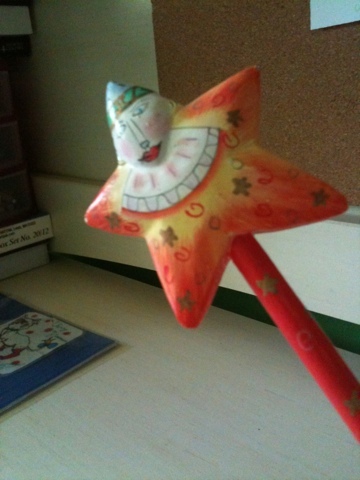 This pencil is too cool! 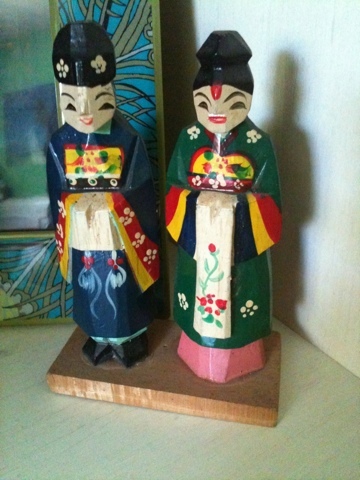 I actually found it at that antique/gallery/cafe I blogged about in December! Now these are my most recent find! only 4 dollars too! If you can't tell I really enjoy traditional Asian stuff! These are made out of wood and fit perfectly next to my picture frame!